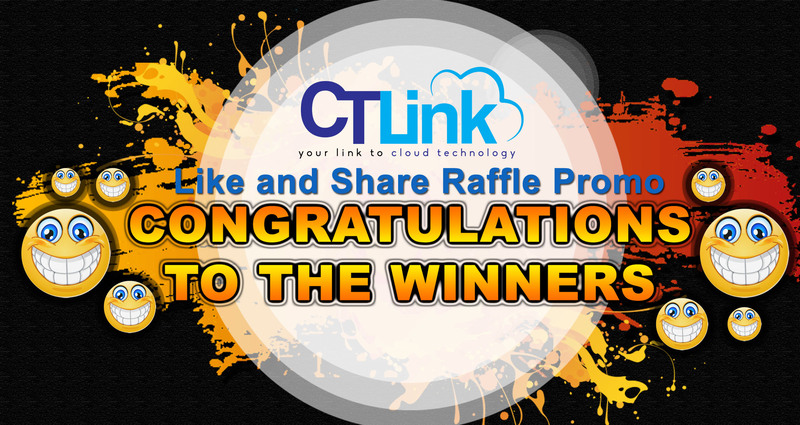 CT Link Facebook Like Raffle Winners – CT Link Systems, Inc. Thank you for participating in the CT Link Facebook Page Like Raffle. To the winners, please contact us at 893-9515 to coordinate the claiming of your prizes. Deadline for claiming of prizes will be on October 30, 2016.